Let me tell you a little story, friends, about the awesome things that can happen via the Internet. 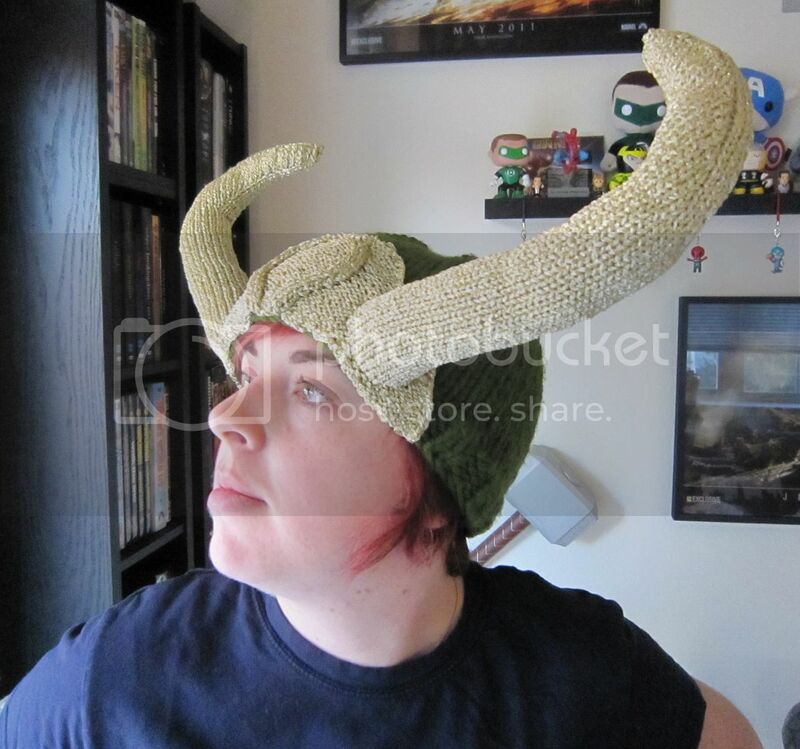 It all started when I quasi-jokingly tweeted about my need for this knit Loki hat. I mean, really. Look at it. It is wondrous. The awesome Erin, of Robot a Day, tweeted back her mutual respect and admiration for such a fine chapeau. I thought to myself, "Wait. Erin knits ..." and so began a craft swap of Asgardian proportions. 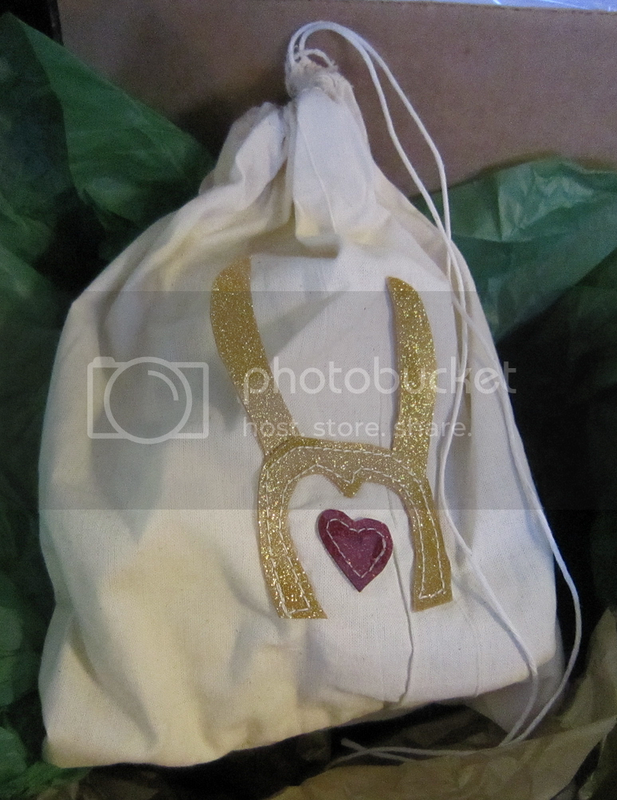 I've long been a fan of Erin's work—I own one of her Vampire bots (customized to look like a Cullen; yes, I was once that much of a Twilight fan) and a Loglet, a clutch purse fashioned out of heavy felt and made to look like a log. I love them both. Lady's got serious skills. 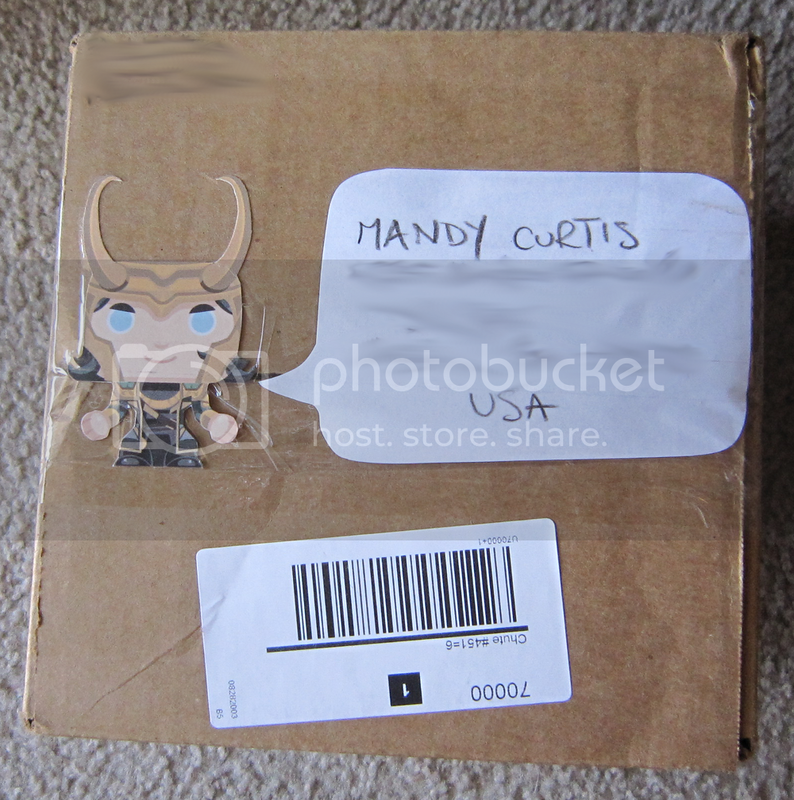 In the years since my purchases, I like to think we've built an online friendship around our mutual love of crafts, Doctor Who, cute animal GIFS and now, the Avengers. 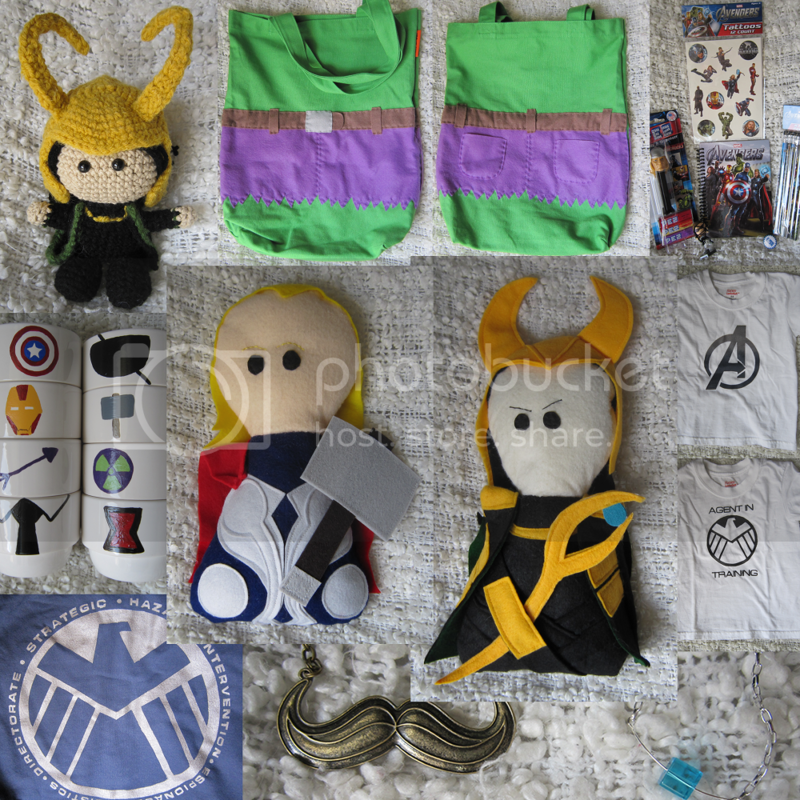 The rules for the swap were pretty open-ended; basically, it boiled down to "make some Avengers stuff and at least one Loki item." I know, I know. TL;DR, get on with the photos already. FINE. Here you go. 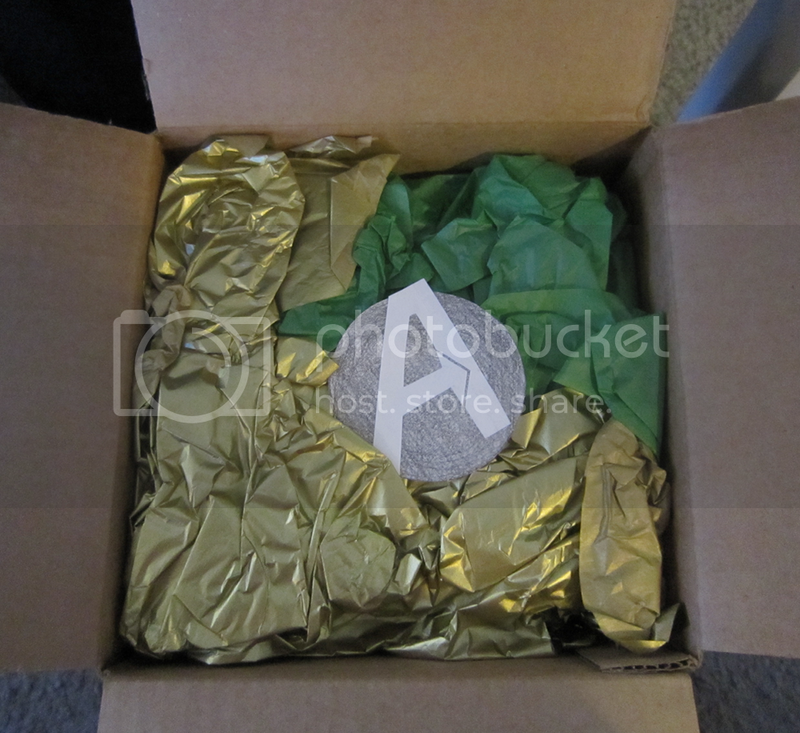 The box, both closed and upon first open. 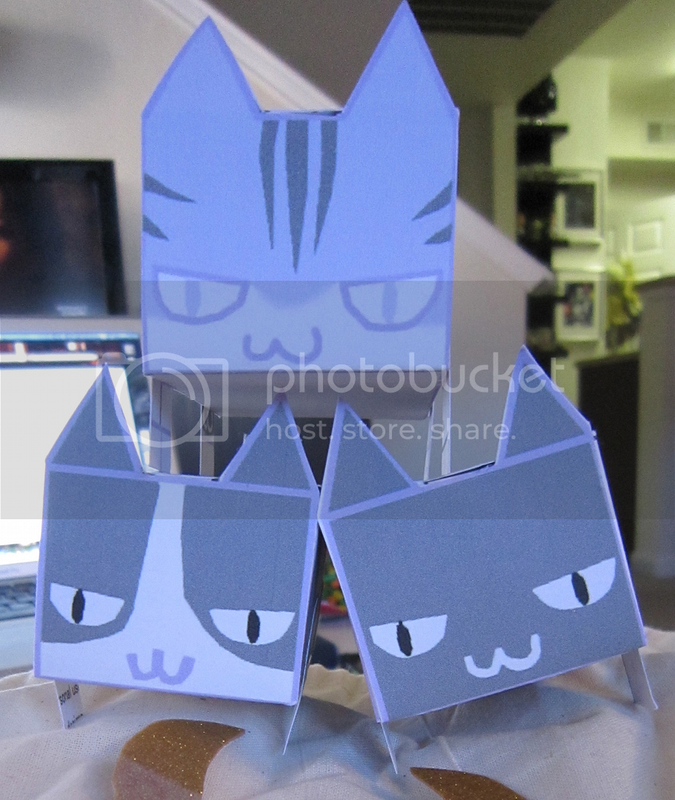 A bag of cats! With goodies—of the non-internal organ variety—found inside! A Coulson bot! WITH CAPTAIN AMERICA TRADING CARDS IN HIS POCKET. I very nearly died. 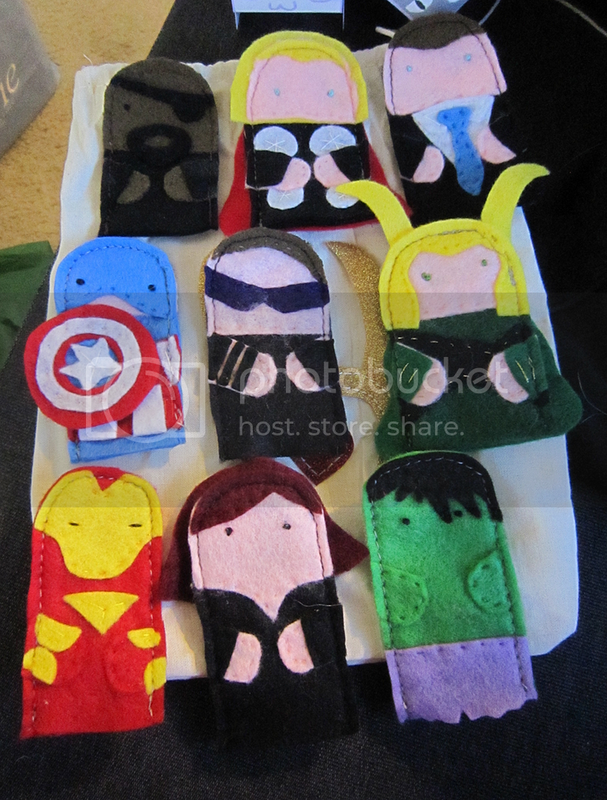 A set of Avengers finger puppets! Lookit the wittle Hulk with his emo bangs! 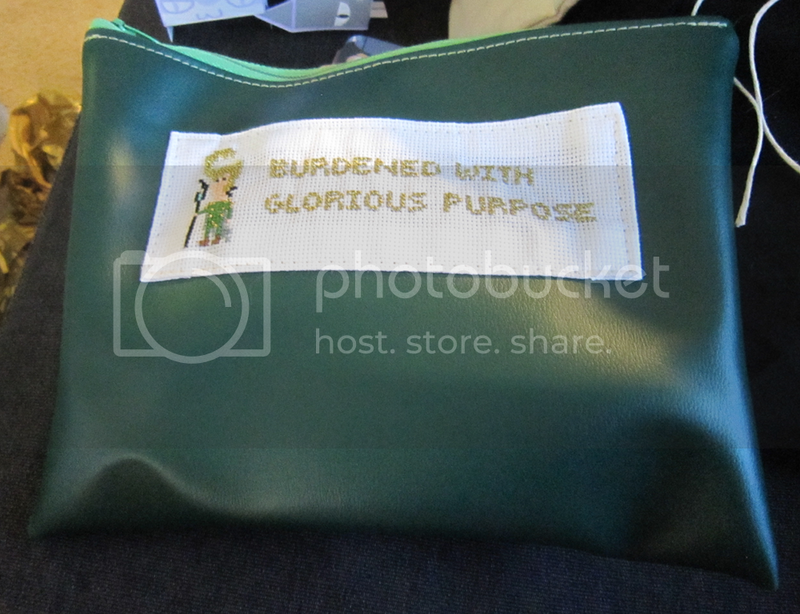 A Loki pouch! With Grabzags treats enclosed! 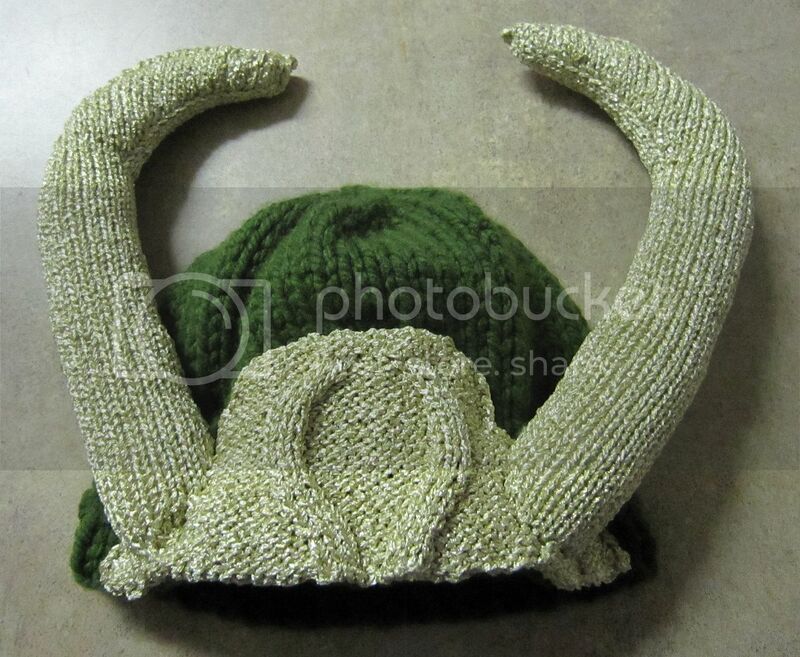 And the pièce de résistance, the thing that started it all: my very own Loki helm hat!! Beyond amazing, right? I know, guys. I know. I'm really amazed and so happy to have made such an awesome connection with Erin, and I look forward to the future trouble I'm sure we'll find ourselves in together, particularly if they involve more crafting. 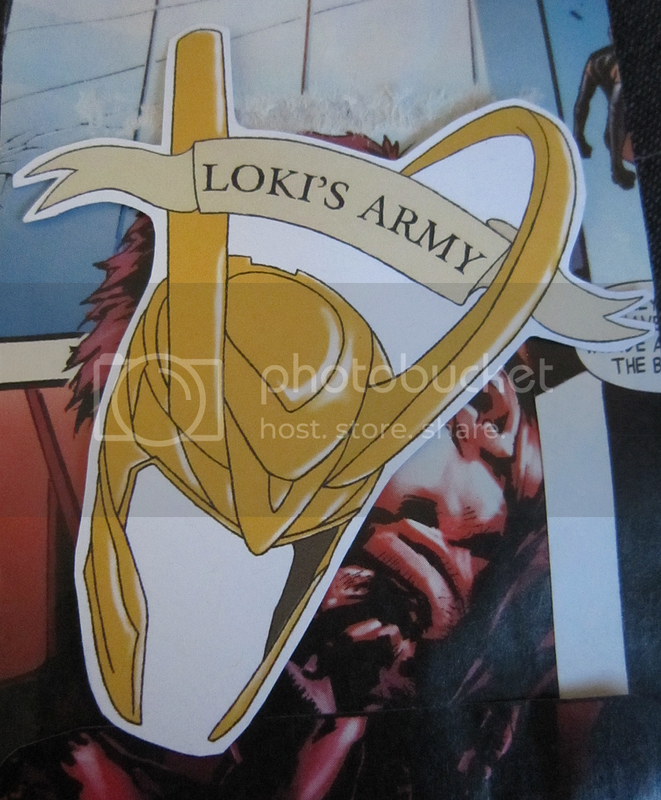 and 2) I am in love with your Loki's angry eyebrows. haha. You crafty, talented people. Always with the making me feel like a lame-o. Oh my that emo-bangs Hulk is just the cutest. I fully expect you to post finger puppet shows on YouTube now. That's three people now that have had that idea, so it's bound to happen eventually. I think my favourite part of blogging have been the swaps. And I'm only partly kidding! I especially love swaps like this, where you just find somebody who's into the same things as you and makes you want to share. 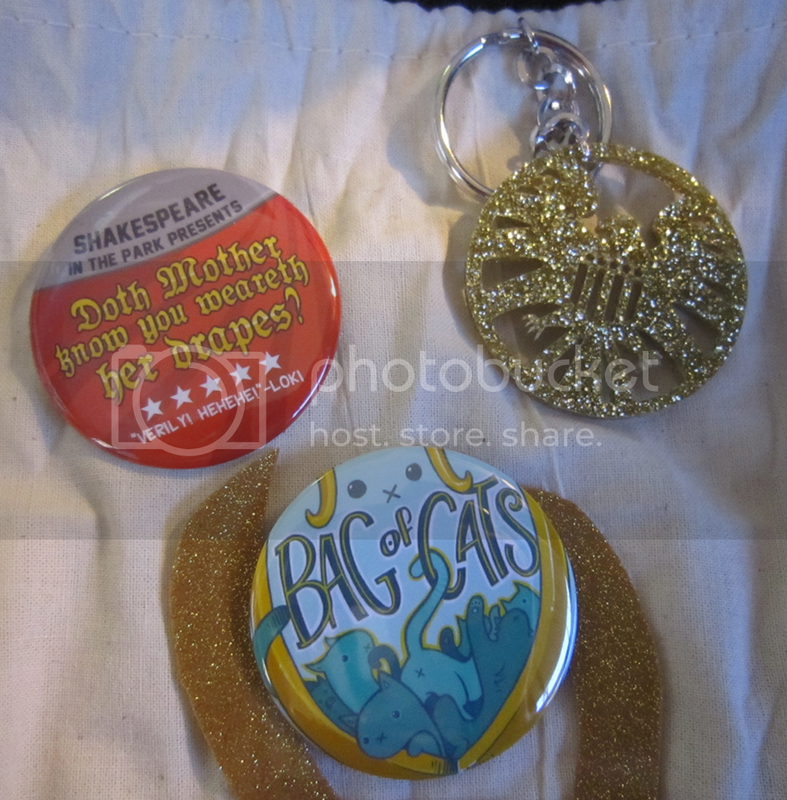 Awesome swag! Your hat's my favourite. How could it not be!? I know, it's awesome. I need to get a little more comfortable with myself to wear it out in public (and it needs to get way cooler here in Texas), but I plan to work on it. i somehow missed the hulks pants purse when y'all were posting about this on twitter... and it, quite frankly, makes my heart happy. 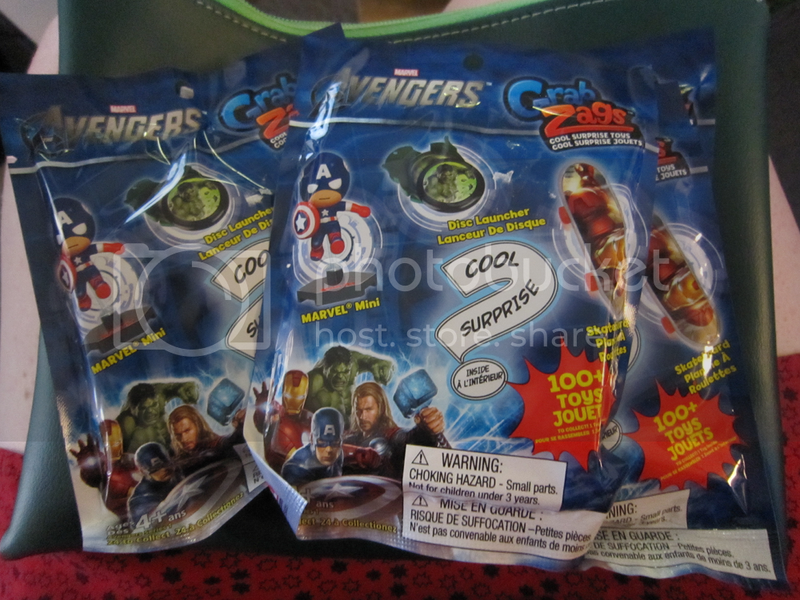 and holy crap- the inclusion of the caps trading cards is such an amazing bit of awesome. Erin went above and beyond, especially with those cards. 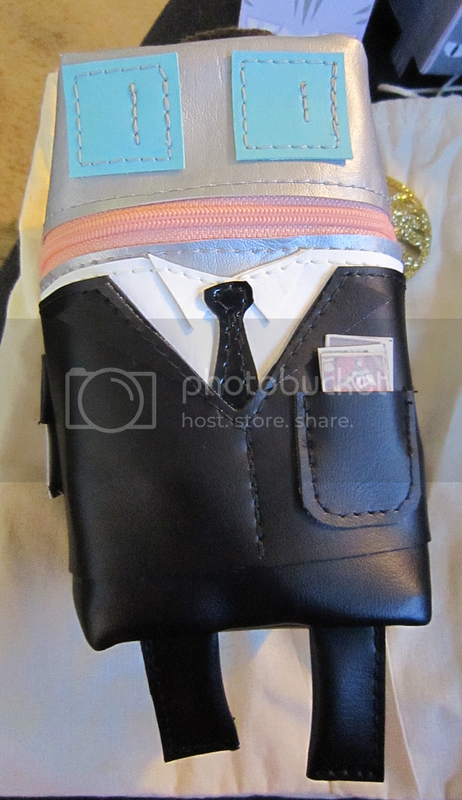 And the Hulk purse was really just meant to be silly, but it turned out pretty cute!